Coral reefs are undergoing a worldwide crisis and being lost at an alarming rate. Climate change, overfishing, and pollution are all taking their toll, but some corals face an additional problem: they are being eaten alive. 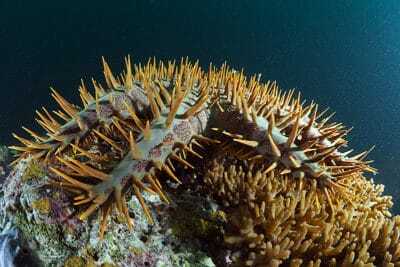 Outbreaks of Crown of Thorns Starfish (COTS), a voracious coral predator, are a significant threat to coral reefs in the Indo-Pacific region. If outbreaks of these coral killers are not controlled immediately they will continue to spread. 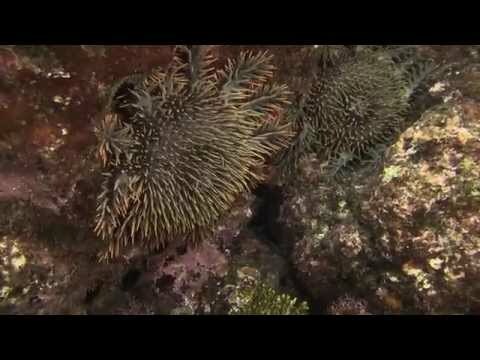 When severe outbreaks of COTS occur, they often exceed 1,000 animals per hectare and are capable of destroying an entire reef system in a matter of weeks. Crown of Thorns Starfish, Acanthaster planci, are the second largest starfish in the world and can grow to be over half a meter wide. They almost exclusively eat coral as adults – and they eat a lot of it. A single COTS can devour 10 square meters of coral a year. Covered in venomous spines (from which the starfish gets its name), COTS have few natural predators. They also happen to be extremely fecund, capable of producing 50 million eggs in the course of a breeding season, leading to outbreaks when the right environmental conditions occur. 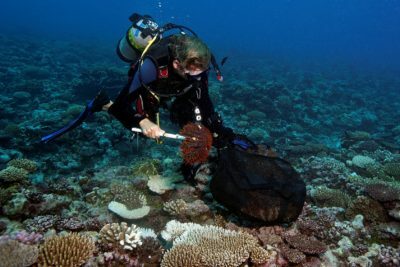 We rapidly control and remove COTS during an outbreak, mitigating damage to the coral reef. During the removal process, our team of scientists records the distribution and abundance of COTS as well as their prey preferences and feeding rates. They also assess the extent of the damage to corals in the area. Genetic samples are taken, and we attempt to determine the source population and patterns of spread. 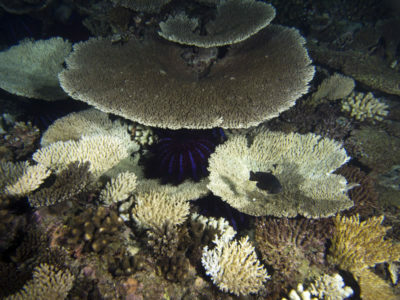 Scientists return to these same reefs after the COTS outbreak to survey the health of the coral reef and collect data on the rate and pattern of recovery. Training sessions and seminars are held for local dive operators, communities, resort staff, and tourists focusing on COTS ecology and techniques to locally eradicate this species from the reef. The SCAR program will act as a central location for reporting COTS outbreaks and serve as a repository for global data on COTS occurrence and impacts. Countries in the Indo-Pacific depend heavily on their coral reefs and associated resources for food, revenue, and protection from storms. Without corals, the fish that depend on reefs for feeding, shelter and breeding grounds will disappear. With millions of tourists visiting coral reef nations every year, COTS outbreaks have the potential to have a devastating impact on coastal communities across the region. 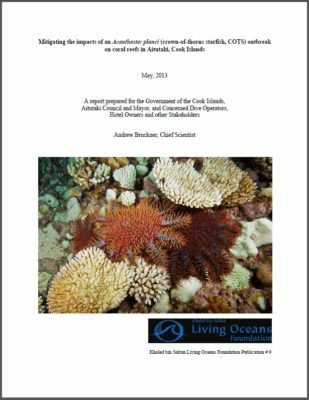 Although it isn’t feasible to prevent outbreaks of COTS from occurring, localized efforts to irradiate the species have proven to be successful at preventing a reef from being decimated by COTS and maintaining the health and resiliency of the coral reef.